Custom made gunbelts for CCW and open carry, manufactured from bullhide and horsehide. 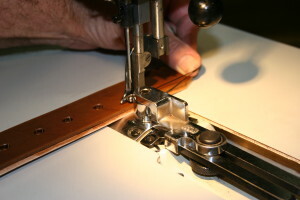 How are our gun belts and specialty belts constructed? Horse Hide is a more dense leather than Bull Hide which makes it more resistant to abrasion and moisture and will be a little stiffer than Bull Hide. We only use Premium Grade A hides from the finest tanneries. The straps are then dipped in dye so they absorb the intended color at a more even rate. Then glued and sewn with “black” or “white” heavy duty nylon thread. Each belt then goes through a 21 step process of edging (we round the edges of the belt so that it looks dressier), dying, burnishing, sealing, sanding and then to the final coat. Between each step, the belt is wiped down with lambswool and inspected for any imperfections. All of our Keepers are stitched, as well. This is all done by hand to achieve a truly handcrafted product. 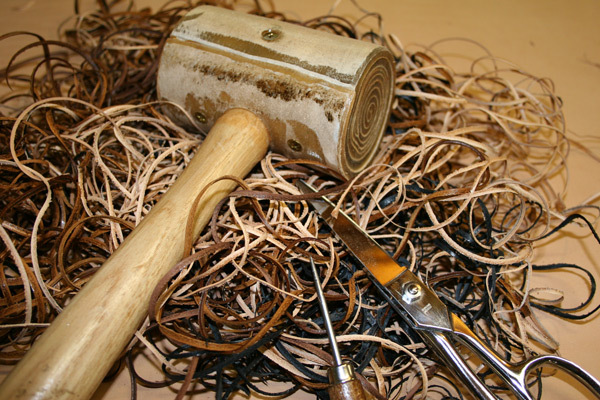 Our belts will last for years and function as they were intended. We do not dye the liner to prevent dye transfer onto clothing. A good sealer and a top coat and the liner is good to go. 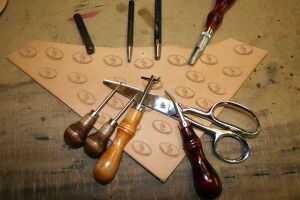 We use only the finest leather products available on the market. A good quality double layer of 7/8 oz Bull Hide or Horse Hide will support a 36 oz firearm and accessories all day long without sagging. I know—I carry one each and every day and have done so for years. 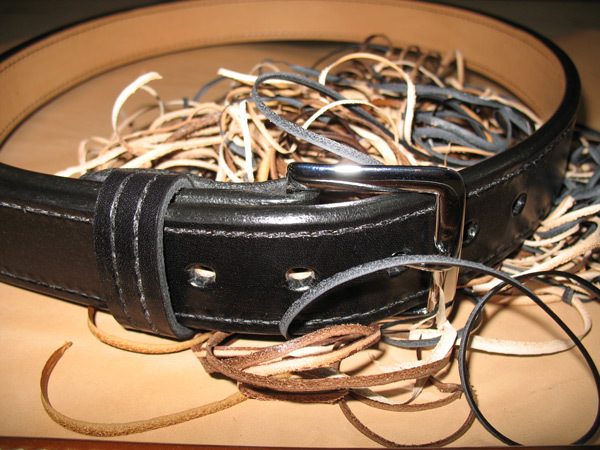 Our belts will not stretch over time and will conform to your body for a comfortable fit. Ordering is Easy! Our Product Catalog allows you to customize a quality handmade belt that will feel as if it were made just for you—because it was! 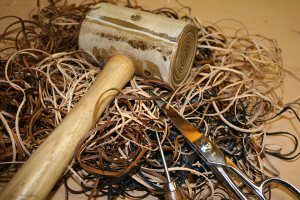 Choose from a large selection of widths, colors, buckles, number of holes, Bull Hide or Horse Hide and the color of thread you would like your belt to be sewn with. Whatever way you decide to build your belt you can be assured you’re getting the quality you deserve and a belt that will last for years to come!